PEACEMAKERS EXPEDITION & SAFARI: Are You Geared Up For Travel To East Africa For A Closer Look Of Wildlife? 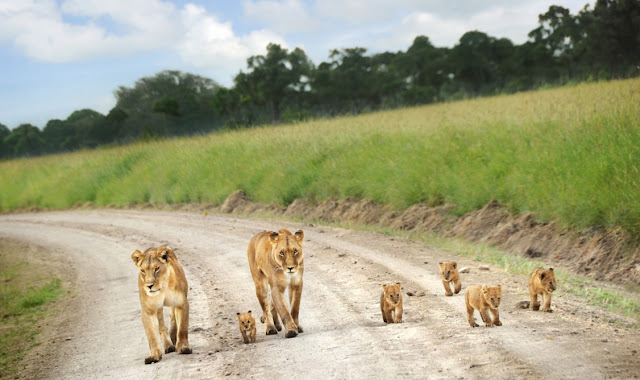 Are You Geared Up For Travel To East Africa For A Closer Look Of Wildlife? East Africa is one of the leading tourist destinations in Africa. A tour to these places means travelling to all the top destinations in the three East Africa countries. East Africa is a tour destination with various attraction sites such as mountains, lakes, rivers, vegetation, cultural activities, geographical features, wildlife, birds, fish and insects. East Africa is also the home habitat of various wildlife species including the big five. Travel To East Africa for the annual wildebeest migration involving different wildlife species. These wild animals migrate in search of food and water. The white sand beaches along the coast and Zanzibar are enjoyable. Swimming in the warm waters of the Indian Ocean is quite interesting. Ever dreaming to see an elephant trumpeting its trunk, a lion licking its lips, or a cheetah sprinting through the grasslands? East Africa Safari offers a thrilling chance to see wild animals going about their daily lives within their natural habitat. Travel To East Africa especially to Kenya and Tanzania that have a huge variety of national parks that offer adventurous opportunities to see wildlife up close. Kenya – If you’re an adventurous traveler who loves to be close to nature and can handle the howls of animals at night, personal camping is a great option. In Kenya, the main national parks that offer camping options are Hell’s Gate National Park, Tsavo East, Mt. Kenya National Park, Lake Nakuru, Amboseli, and Aberdare National Park. Tanzania is a land of extremes. This country has the world’s largest game reserve and one of the most spectacular natural sights in the world – the annual Great Migration. Everyone loves to Travel To East Africa but to avoid rain-swept beaches and where'd-everything-go savannahs, you'll need to be in the right place at the right time. There is no single best time to visit East Africa but there are rainy and dry seasons. Each has its advantages and each destination has its best moments. The wildebeest herds move onto the southern and eastern plains of the Serengeti and the northern Ngorongoro Crater Conservation Area. In terms of birdlife, Kenya's Rift Valley lakes are at their peak in January and February. Flamingos gather at Lake Nakuru in their hundreds of thousands. If you want the best conditions to climb Africa's highest peak, go during warm and dry January and February. The driest weather in Uganda and Rwanda from late December to early March gorilla treks are easier and the views are better. PEACEMAKERS EXPEDITION is one of the best travel experts to provide East Africa Wildlife Safaris with real ease. We bring you some of the best safaris in East Africa combining Uganda and Rwanda, Kenya and Tanzania or all the East African countries in a single package enabling you discover the best of each destination! Our tours offer life-changing experiences with these amazing animals. You can contact us with your interests and we offer you a fully customized experience! East Africa is a gorgeous place for wildlife. With Travel To East Africa, get the hearts stopping scenery along with the wildlife which will be locked in your memory forever.